We break down all of the latest moves by the Browns. 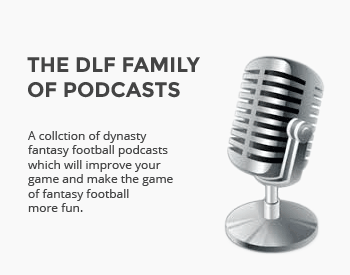 How do they affect the dynasty landscape? We examine the dynasty fallout of Albert Wilson signing with Miami. The Browns went nuts making thee big time deals Friday. We discuss two players to target while their value is dipping. We take a look at Thursday's action, including Alshon Jeffery's first touchdown as an Eagle. How will the Dolphins fare in their second year under Adam Gase?